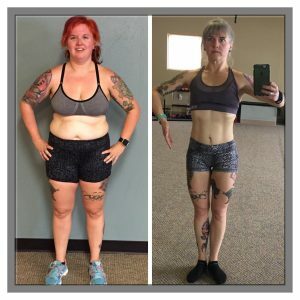 93 Pounds Down but is About So Much More then the Before and After Pictures! My story started February 2012, I was at a dance for our county 4-H and they took pictures; I saw myself in the picture and was disgusted with myself. That’s when I said, enough was enough. I was in a strength and conditioning class my senior year of high school and I started watching what I ate, counting calories like it was my job and I would run on my mom’s treadmill before school every morning. I was 220 pounds when I started. By the time I graduated, I weighed 170 pounds and I had dropped 7 pant sizes and 2 shirt sizes. Through college, it was yo-yo dieting and trying every kind of exercise there was just to try and lose more weight. 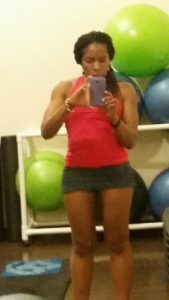 In 2014 I decided to join Anytime Fitness and hire a personal trainer where I learned more about strength training and started watching what I ate more closely; eating cleaner. In 2015 I decided that I wanted to do my first bodybuilding contest. 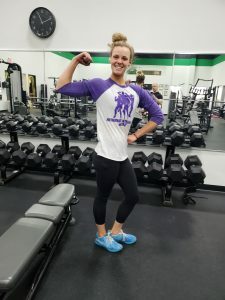 I hired a coach and I thought it was normal for a prep to be miserable with super low calories, insane amounts of cardio and feeling tired and drained constantly. After that contest experience I fired my coach and hired a new one that I thought would work better for me. I started a crazy long contest prep again fall of 2016 and by early 2017 I decided to call the prep off because I was consuming little to no carbs, doing 60 minutes of cardio 7 days a week and I was getting hurt. I was miserable and I decided then and there that I was never going to step on stage again. In the fall of 2017, I ballooned back up to 170 pounds. I was not happy. I remember meeting Nicole Goodno, my current coach. She helped me create a healthy relationship with food by giving me just a set amount of macros. I finally learned how to properly count macros and I was able to fit the foods I truly enjoyed while not feeling guilty. While counting macros, I was doing CrossFit 5 times a week and feeling fantastic. December 31st, 2018, I pulled the trigger and decided to do another contest prep! I felt healthy, happy, I now have a great, healthy relationship with food. My relationship with my fiance couldn’t be any healthier. I was eating halo top ice cream with cereal, French-toast, lasagna, tacos, burgers, and plenty of other great foods; proving that eating during a contest prep doesn’t have to be boring….same for those looking to lose pounds and inches. I switched from doing CrossFit to more conventional bodybuilding lifts and still doing little to no cardio, which makes me happy! 93 pounds down but it’s not just about the weight and before and after pictures. I have a fantastic relationship with food, I am happy with my body, I am confident, and my mindset has changed a whole 360 degrees. I am learning how to take my favorite recipes that are more comfort food with a healthy spin on them. Once my fiance and I decide to have children, it will be easy for us to teach them how to be mindful when it comes to food. Our kids will know that eating fun foods is ok but that eating healthy like mom and dad is a good thing as well! 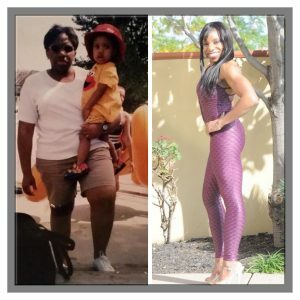 I am able to make this health and fitness journey not just into a hobby but a lifestyle that I will be able to maintain long-term. As a dairy farmer, I learned that it is important to keep an active and healthy lifestyle. In life, I have learned that you only live once so you need to live life to the fullest and that you should keep an open mind in everything you do. I love the lifestyle of “If It Fits Your Macros” (IIFYM) because it gives me the freedom to have “fun foods” while also balancing with healthy whole foods. I would have never been open to trying IIFYM 3 years ago when I did my first contest prep. Back then I had no freedom to eat whatever I wanted. Throughout these last 3 years, I have learned how amazing IIFYM can be and how I can make a lifestyle out of this. Today, my relationships have gotten so much stronger. I feel so much more confident and my self-esteem has been boosted. I feel like I am able to be myself around people now and I am so much happier since I finally found myself through fitness. Have a motivating story of your own to share? We would love to share it! Send us an email rayatfitworkz.com. 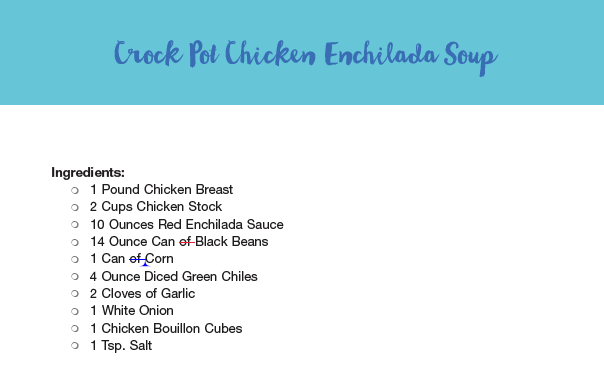 Healthy chicken enchilada soup, repurpose the leftovers as a great tasting wrap! Drain and wash beans. Drain Corn. Mince or press two cloves of garlic. Peel and dice the onion. Toss everything into the slow cooker. Cook on low for 6-8 hours…. or on high for half as much time. This makes chicken enchilada soup. Now repurpose the leftovers as a wrap. 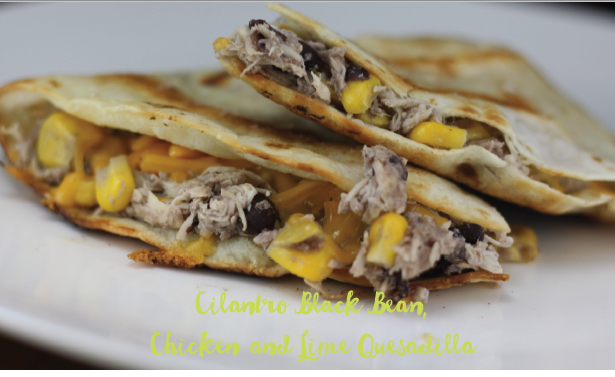 This is made with leftovers from the Cilantro Lime Crock Pot Chicken Recipe from above. You only need to buy some high fiber tortillas. Microwave leftover cilantro lime chicken. Place butter in frying pan and bring to medium heat. Place wrap/tortilla in pan at low heat and flip as it begins to get crispy and toasty. Spoon leftover cilantro lime chicken into wrap/tortilla and fold in half making a half-moon shape. Flip so each side is crunchy. Remove from heat. Optionally top sour cream, guacamole, hot sauce or whatever suits your fancy. 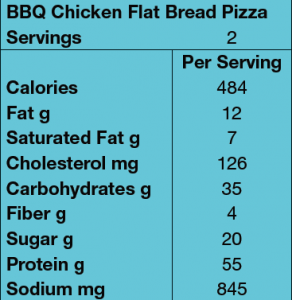 See recipe for nutrition facts and be sure to add in calories from tortilla or wrap. Eat by Color nutrition is not a diet and teaches interested members how to make better food choices. No counting calories, points, macros or anything else with Eat by Color. Get your copy of Eat by Color on Amazon Today! Build Better Glutes, Hips and Thighs with Out using the adduction and abduction machines at the gym. Adduction and abduction machines are the scissor machines that most gyms have. Should you use them if you are looking to Build Better Glutes, Hips and Thighs with Out using the adduction and abduction machines at the gym? Are there better exercises you can be doing? The adduction and abduction machines were like gold for health clubs in the 1980s and 1990s... shady membership sales people would put predominantly women on them and the following would ensue. Mrs. Smith would get on the adduction or abduction machine and do 15-20 repetitions. Mrs. Smith was sold a membership. There is a time and place for these exercises. That time and place is after you are doing the larger multi joint version of exercises like the squat, lunge and deadlift. Time is better spent doing multi joint exercises. You will burn more calories, train more muscle groups and do it in less time. Here is a great lower body program. Number One Mistake in Health, Wellness and Weightloss and How to Avoid it! You set a goal. Find a plan and get started. You start making progress and are excited. Clothes are fitting better, you feel great and best of all people are starting to take notice and they want to know what you are doing. Then it happens. What if you keep going all in and putting forth the effort and it quits working? What if you fail? Just like everyone noticed your progress they will notice your failure. Fear sets in and accelerates the self-sabotage. You start questioning everything you are doing. You stop doing the very things allowing you to make progress. Results slow down, progress declines, eventually stops and you start to go backward. Convinced the approach you were taking does not work you cast it aside. In earnest you search for another approach. What’s this over here…. 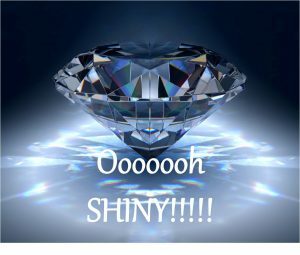 Ooooh Shiny! You convince yourself the new shiny object (insert trendy workout or diet here) is the missing link. The mistake is not the approach. The mistake is giving in to self-sabotage and convincing yourself you cannot be successful. Just like there is more than one way to skin a cat there is more than one way to be healthy, well and to lose weight. That being said NO approach works if you quit. You have to stick with it. Execute your plan and do it consistently. Stop looking for the next ooooh shiny object (insert trendy workout or diet here). Believe you can be successful. It will not be easy, it will be worth it and it will work. You just have to put in the work, stop finding reasons for it not to work, and stop looking at the new shiny objects (insert trendy workout or diet here). Ray Binkowski is the Former Owner of Fitworkz, DeKalb, a 24 hour hybrid fitness trainingcenter, author of several fitness and health books and the producer and host of the OCB Midwest States bodybuilding and fitness competition. Most importantly to us, he is an expert on functional fitness that has consulted military, law enforcement, tactical entities, professional athletes and people from all walks of life to optimizing their physical readiness and capabilities. He holds a Bachelor of Science in Mechanical Engineering from Northern Illinois University and various fitness certifications. He is also a husband, father and loyal dog owner who does not appreciate clowns. Number 1 Mistake from clients that are not currently exercising… thinking they can everyday if need be. Number 1 Mistake from clients that are not currently exercising... thinking they can everyday if need be. "I can work out every day if that is what I need to do"... Ironcially this is often by someone that has not exercises in months or years. Every day is NOT going to happen. 8-10 hours per month of the right exercise is all most people need. No more no less. Not everyday. You do not have time to train everyday. Don't set yourself up for failure by thinking that you can train everyday. Ray Binkowski is the former Owner of Fitworkz, DeKalb, a 24 hour hybrid fitness training center, author of several fitness and health books and the producer and host of the OCB Midwest States bodybuilding and fitness competition. Most importantly to us, he is an expert on functional fitness that has consulted military, law enforcement, tactical entities, professional athletes and people from all walks of life to optimizing their physical readiness and capabilities. He holds a Bachelor of Science in Mechanical Engineering from Northern Illinois University and various fitness certifications. He is also a husband, father and loyal dog owner who does not appreciate clowns. 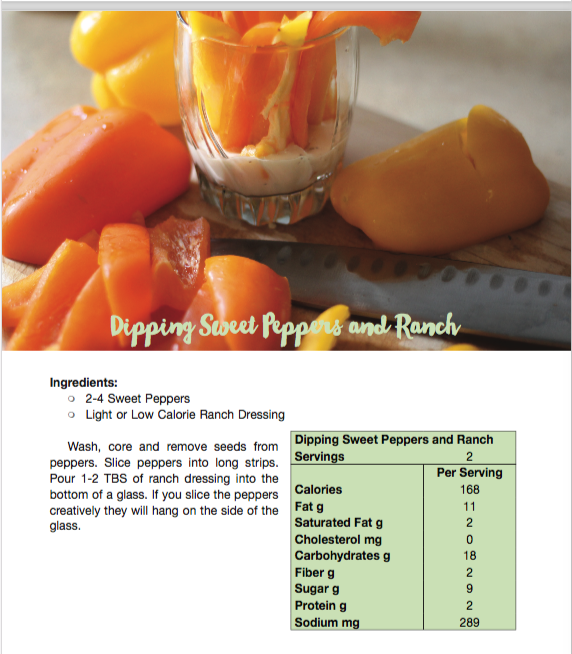 Healthy Simple and Tasty Dipping Sweet Peppers and Ranch! Going a step further, the book teaches how to make better food choices forever! No eliminating entire food groups. 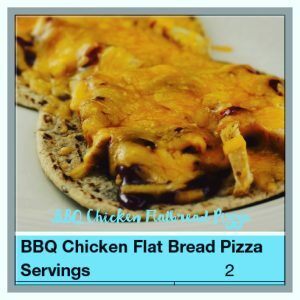 There is even a 7 DAY Meal Plan using the recipes in the book! 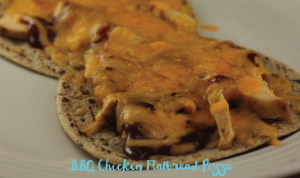 You can click the link below and get some of the recipes right now…. Print and Kindle versions coming soon!